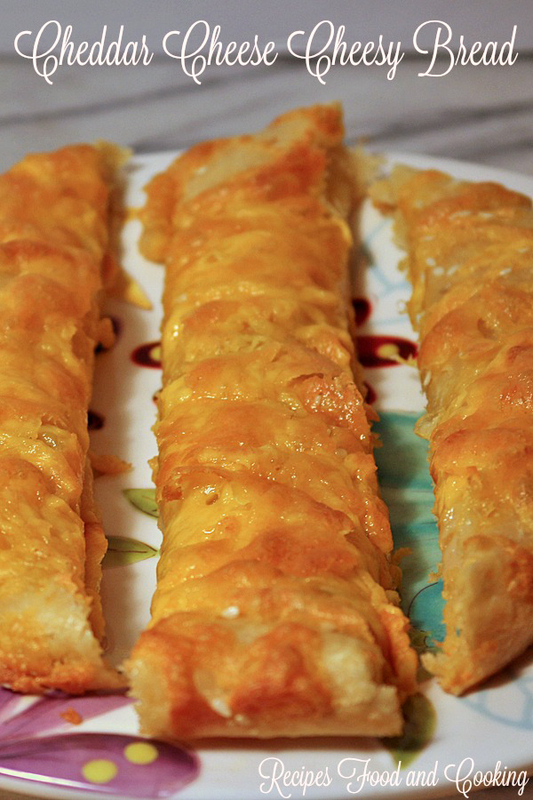 Ok, so you need this Cheddar Cheese Cheesy Bread in your life! 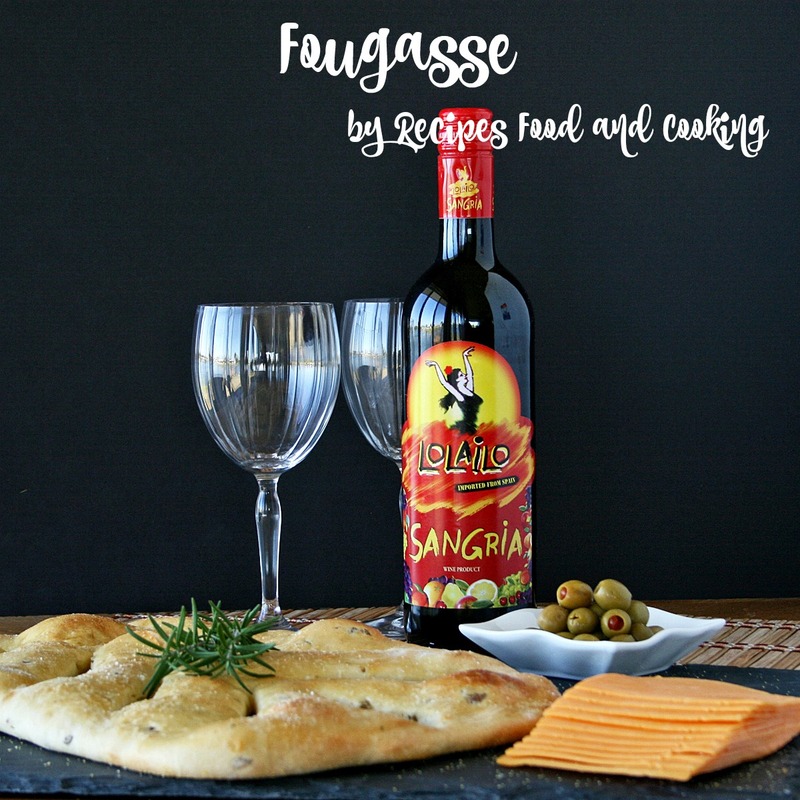 It’s easy to make and the dough keeps well in the refrigerator until you are ready to make it. I made an olive oil garlic oil with garlic cloves and fresh thyme to brush on the dough before you add the cheese which adds lot of flavor. 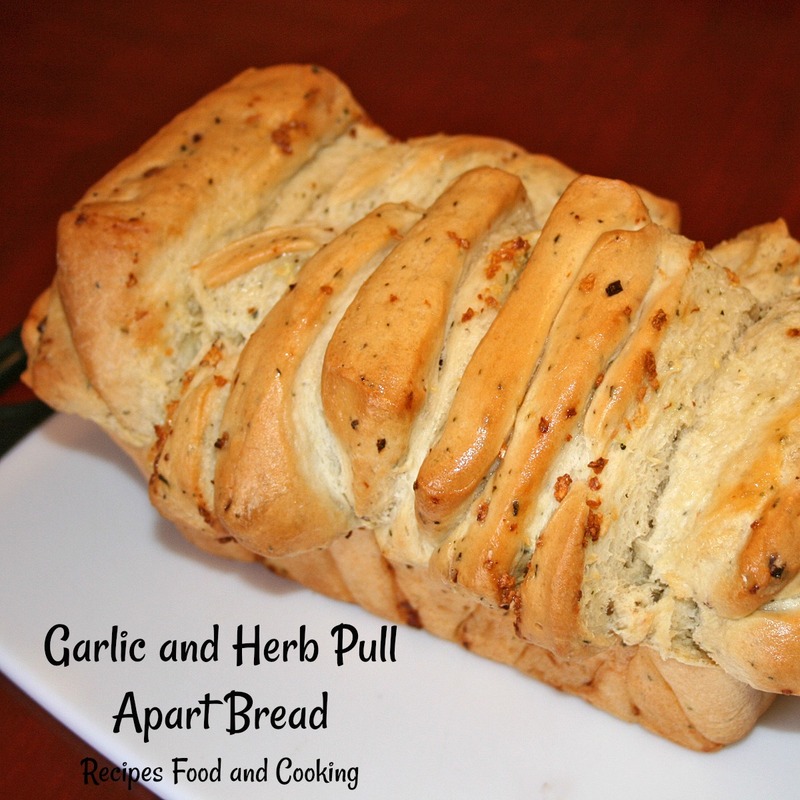 I used all bread flour in this recipe and really like the results. The crust is soft, chewy and crispy on the bottom. I’ve used all purpose flour before and it just won’t get as crispy as it does with all bread flour. This is about 1/3 of the dough spread out on a greased cookie sheet. I just pat it into place trying to keep as much of the air in it as possible because I don’t give this time to rise before it goes into the oven after being assembled. Next you will add a generous amount of the garlic oil below before adding the cheese. Here’s my olive oil made with fresh garlic and thyme. You want to heat the oil gently and add the cloves of garlic. If the cloves are really large I would slice them in half. Keep the temperature as low as you can because we just want the garlic to soften, not brown or burn. I took it off the heat after about 10 minutes and added a small handful of my fresh thyme I grow in my herb garden. I love being able to go out and just snip off what I need. It isn’t hard to grow at all. I sprinkled a few sesame seeds and flake kosher salt on top of the cheese before baking, but they are totally optional. 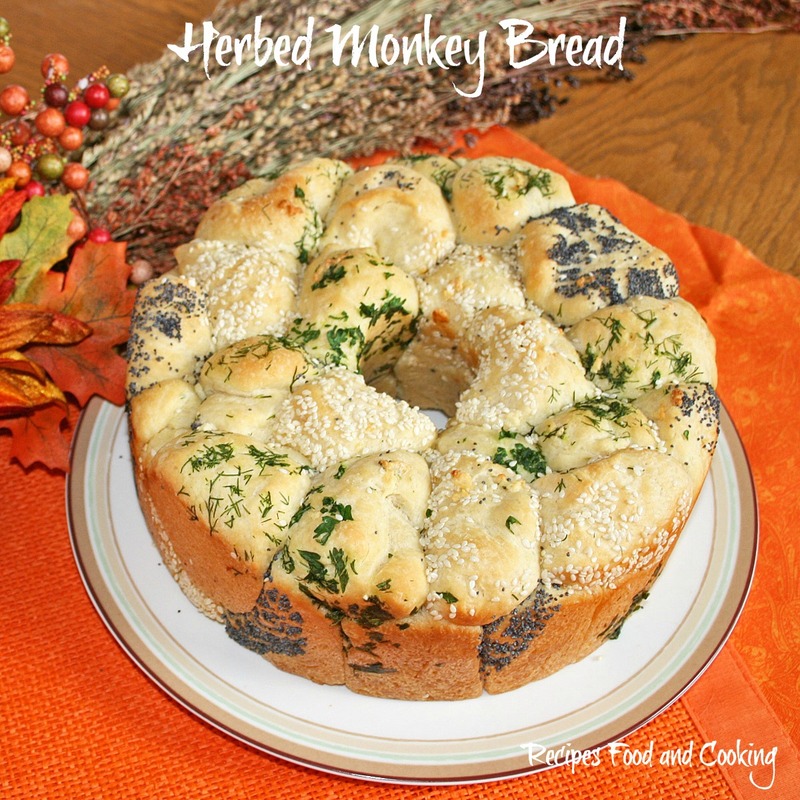 You could also serve this with some marinara sauce or ranch dressing for dipping the breadsticks into. 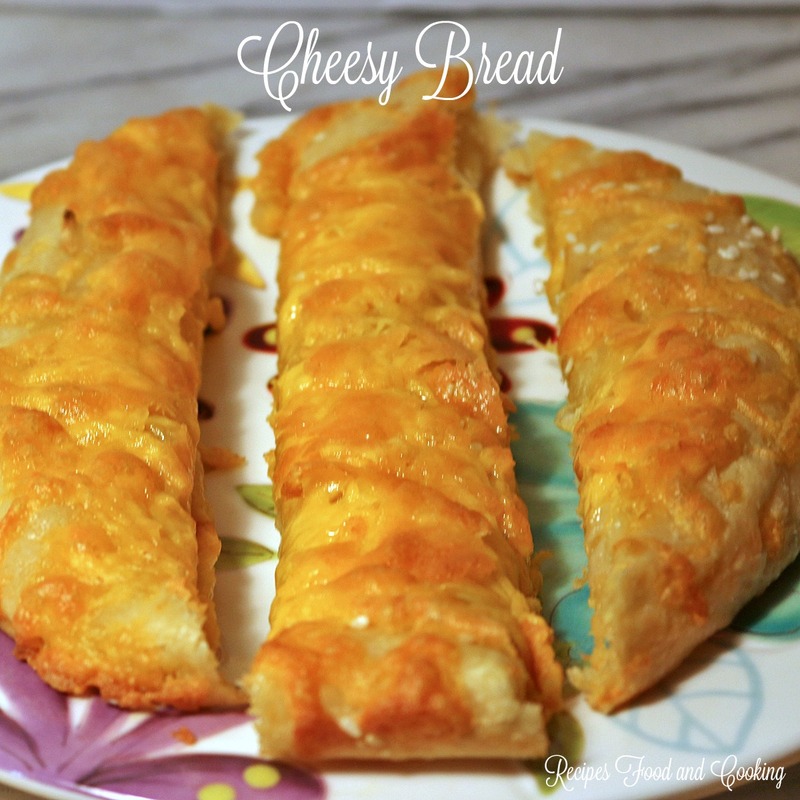 A cheesy garlic oil bread that can be made quickly whenever you want it if you make the dough ahead of time or used store bought pizza dough. 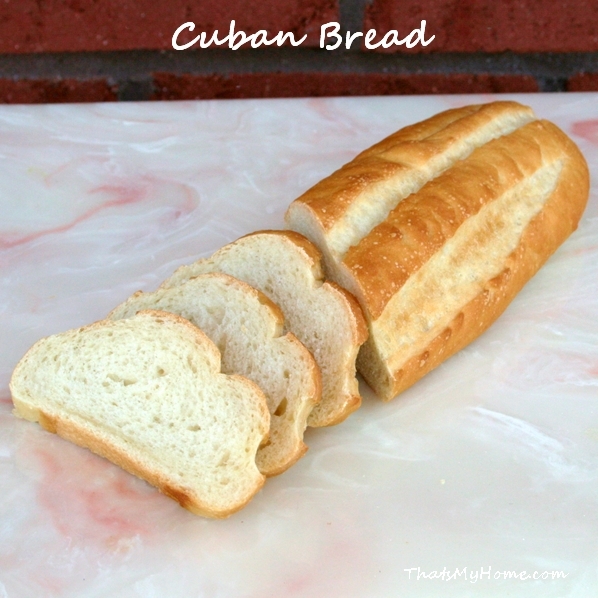 To make the bread, proof the yeast in 1/2 cup of the water with 1 teaspoon of the sugar. To make the oil, add the oil and garlic to a saucepan. Cook over very low heat for about 10 minutes until garlic is tender. Do not brown or burn the garlic. Remove from heat and add the thyme. Cool. 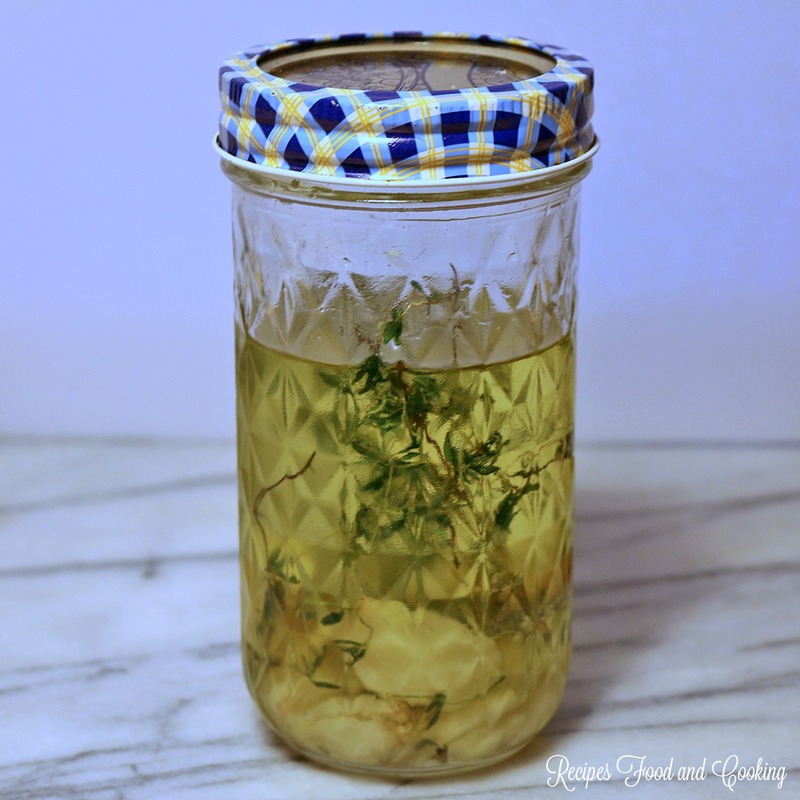 Put it in a jar and refrigerate it until ready to use. 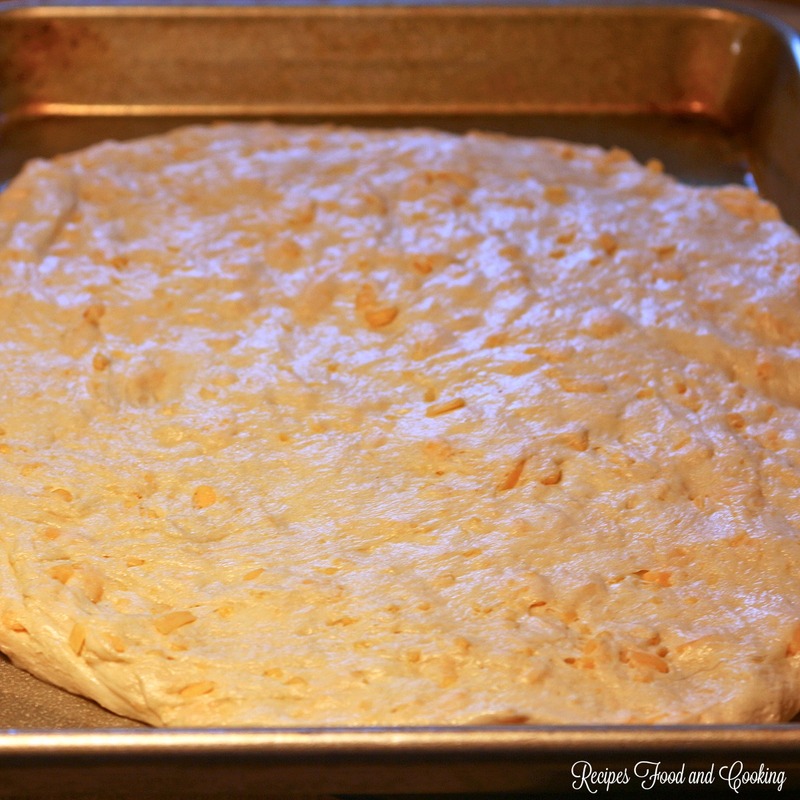 Spread 1/3 of the dough out on a cookie sheet. Add a few tablespoons of the oil to the top of the dough. With a fork smash the garlic and spread it out on top of the dough. Add the cheese evenly over the top. Sprinkle with the kosher salt and sesame seeds if using. Bake at 450 degrees for 12 - 14 minutes. 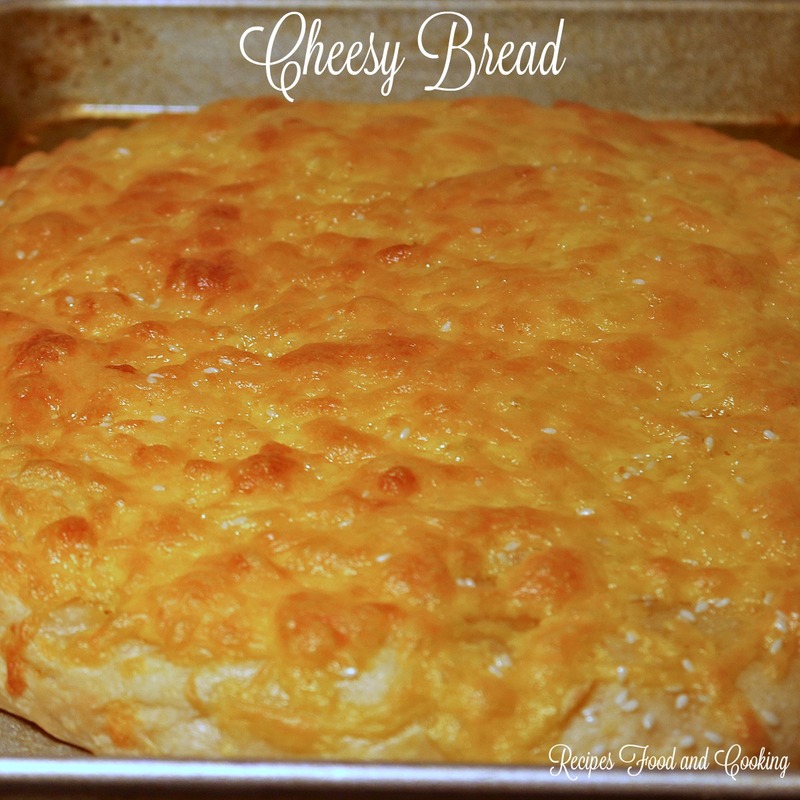 Crust should be lightly browned and crisp on the bottom and cheese starting to brown on top. Use a pizza cutter and cut into strips to serve. You could use any variety of spices on the top. I like the kosher salt on top but try any of your favorites. Bacon crumbles are also good!